In our password protected wholesale section you will find information on exciting offers we have for our wholesale customers. Our extensive design & colour catalogue, with dozens of choices you can combine any way you want. Garments & items, along with their wholesale rates - perfect for uniforms or retail shops. Contact us to gain access. Or check out our custom design service below. Looking for a customized fabric or garment? 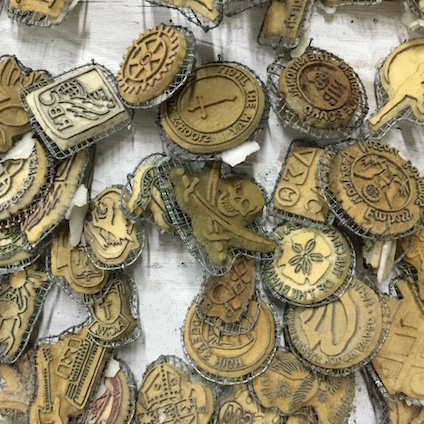 Send us your logo or image & we hand-carve your stamps, hand wax & dye your fabric! 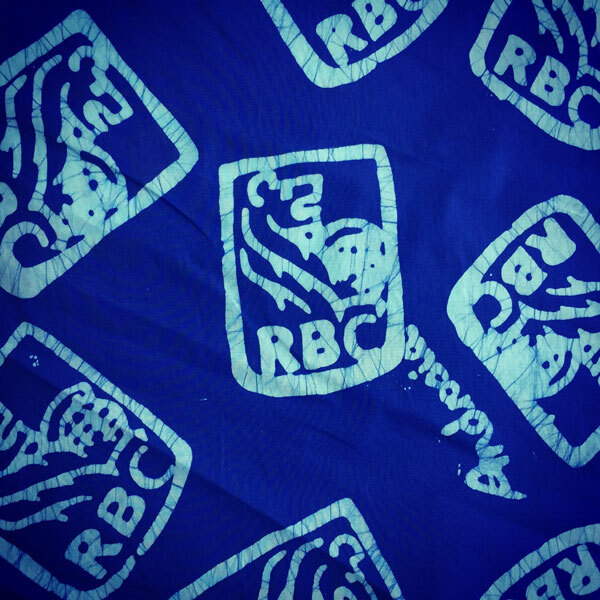 Special logo fabric is available only by the bolt or in larger garment & item orders. We can do custom sized tablecloths for parties or restaurants as well. Send us a request below and we'll send you more information. Perfect for special occasions like weddings or family reunions or all your group or business needs. Danielle & Marvin's wedding design. 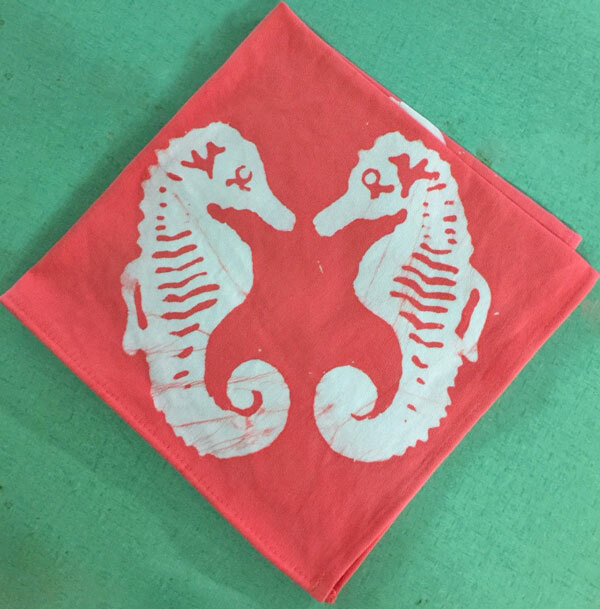 We carved the 'Kissing Seahorse' design from their invitation for napkins and custom sized table runners. Guests were able to take the napkins home as mementos of a beautiful union!